We start all of our plants from seeds right in the aquaponics systems. It does take a little longer with some crop, but it saves us steps in the process. 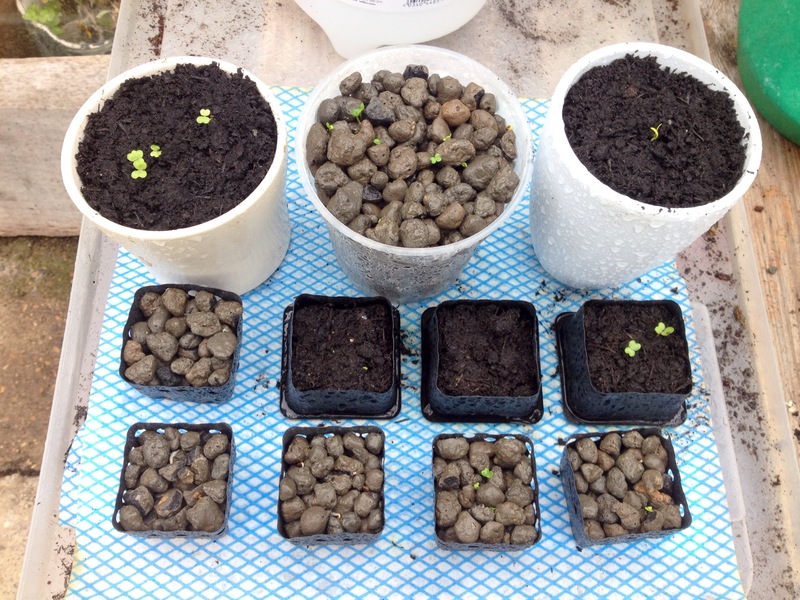 We have been starting ours in heated seed trays and watering with water from the Aquaponics system, seems to accelerate their growth in the beginning 🙂 and then we just transfer the pots when the roots start to poke out the bottom holes. It is very difficult to wash the roots of previously potted plants and then get them to take within the clay pebbles. We have tried it with pretty much zero success. 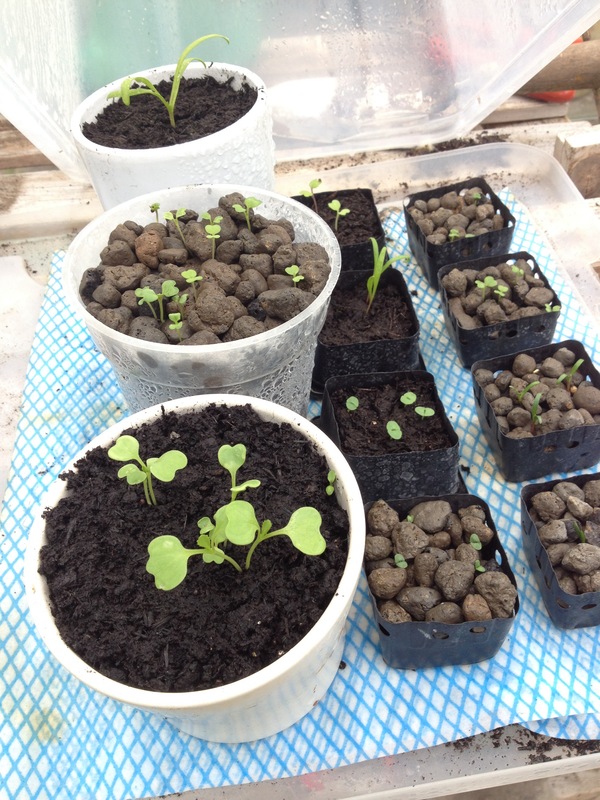 Best thing to do is just directly drop some seeds into the grow beds. As long as your water level doesn’t get too high they won’t be washed away and will germinate because of the moist environment. We like to spritz the pebbles with water where we know there are seeds to encourage germination. Just hide the seeds under a pebble and watch them sprout! I have the same question. Can you start the seed on a paper towel soak and then when you see the seed crack (white root) you can put it in the clay pellets? How deep do you think it needs to be in the pellets? I know seeds like darkness but when should you put the light figure on them?